When I’ve mentioned or suggested doing anything like this the usual response has been people turning their noses up and either they pretend they didn’t hear or quickly change the subject to something else. We prefer to turn a lever or push a button that sends our waste on its way down a pipe to be processed out of sight and, very much, out of mind. The concept of holding onto what you do in the lavatory with the purposeful intention of making use of it later is totally alien to the vast majority of us. How often do you have to empty a composting toilet? A composting toilet is, to be crude about it and it’s difficult not to be, a combination of an ordinary toilet and a compost bin. But it is, of course, much more than that. Modern compost toilets have been specifically designed to contain and process human waste in a way that is civilised and effective. The appearance of modern composting toilets is very much the same as conventional toilets where the waste is piped away. These are very often described as dry toilets because there is no water involved. Such a system will work really well where there is a problem supplying water to a particular location. Composting toilets fall into two categories. One type separates the liquid from the solid when used, this requires the visitor to the toilet to be proactive in using it and make sure that the liquid is kept separate from the solid. The solid is allowed to dry out, often with a fan mechanism which dries the solid material as well as drawing away foul air. 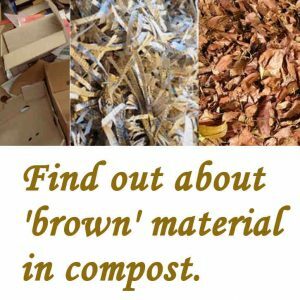 It will help if you have compostable material in the shape of sawdust or peat moss before you start using the compost toilet. Just a layer of about 2inches to start with. This type of material will do a lot to keep an open mixture and help air to get into the mix. This will help to speed up the composting process and reduce the risk of smell. You can buy suitable carrier material for this purpose. These materials are supplied dry and it’s considered to be more effective if you make it moist before adding the human waste. This is to help the microorganisms get started because they can only function where there is moisture. So you need to add some water to the peat moss, coconut fibre or sawdust but don’t make it too wet. It just needs to be moist. The liquid urine is stored in a separate vessel which can be processed through other composting methods away from the composting toilet. You can add the urine to your compost heap that’s already making compost from other materials like kitchen waste and garden trimmings. It’s long been known that urine is high in nitrogen compounds and is therefore extremely valuable when added to a conventional compost heap. To make the best use all of the liquid you need to add carbon rich materials to obtain a balance in a compost mix. This would include the adding of dead leaves lawn clippings and anything else from the garden that will rot down. It would be preferable if any woody material is added, that it is shredded down to small particles. If you’re on the road and you have a composting toilet in operation then you can dispose of the urine liquid through a convenient sewage outlet. This is probably the most responsible thing you can do. However, if you really are out in the middle of nowhere and you are desperate to dispose of it, you can just dump it in the countryside but just be very careful that it’s not being dumped near someone’s water supply or a storm drainage grid. This very much a last resort approach. Concentrated urine is a potential pollutant and it’s therefore very important that you keep it away from water courses, streams and rivers as this will likely disturb fish and other wildlife. The solids in composting toilets will break down over time, provided the conditions are right, the microorganisms present will work very quickly. The process is accelerated by regular agitation of the solid material. On the modern composting toilet this is achieved by turning a handle and provides aeration of the mix. After a reasonable length of time compost can be extracted from the unit which can either be stored for later use or use straight away as a valuable soil conditioner depending on which system you are using. The other system is much more basic and involves the liquid and solid being gathered in one vessel. For this basic system to work you need to have to composting toilets side by side. One of them will be in use until it’s full. The other one will remain empty until the first one is full. On filling the first toilet compartment, this will be closed off and will not be used for a long time. Visitors to the toilet will then start filling the second compartment. This system relies on the first toilet compartment having time to turn the entire contents into compost before the second toilet compartment becomes full. 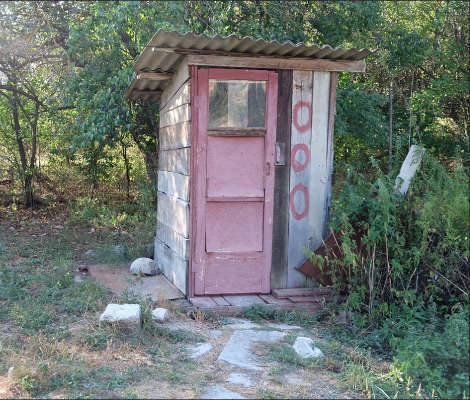 This type of basic composting toilet would not necessarily rely on any sort of agitation. It requires time for nature to take its course. As the first compartment becomes full It will be necessary to ‘take the top off the mountain’. This is often done by including a handle operated mechanism that moves a scraper from side to side that spreads the top of the material to make best use of the space inside the compartment. Depending on the number of people that this system needs to cater for it may be necessary to have more than two composting toilet compartments. This is a calculation that has to be done in the early stages and can be easily planned for. It’s generally considered to be wise to leave the composting toilet compartment closed off, when full, for at least one year to allow adequate decomposition to take place. During this time any harmful pathogens that may be in the material should have been destroyed by the microorganisms which will be extremely active throughout the whole process. Because the liquid and solid all going in together there is the need to add dry material that will soak up the moisture and break down into compost along with the rest of the waste. The ideal materials for this would be saw-dust or finely chopped dead leaves. There needs to be a plentiful supply of sawdust or leaves beside the toilet so that visitors can throw in a scoop on top of the gathering pile when they finish and before they leave. For the system to work efficiently every time a visit is made to the toilet users must comply with this requirement. Before you can use a composting toilet you need to be aware of what sort of toilet it is. You need to know what technique is required and what the protocol is for the set-up. This will very often be explained to you if you’re a guest visiting it for the first time. It will either be a case of everything goes into one or you may be required two separate your liquid from your solid at point of delivery. When using a composting toilet that requires the liquid and solid separated it’s up to the user to make sure that the liquid is directed towards the front of the pan and the solid remain to the rear. Keeping the two components separate is what does a huge amount to reduce the risk of smell. If the two do mix together a reaction takes place which generates a gaseous discharge. One of these gasses is ammonia and that is partly what you may smell. It’s important that everybody does what is required to avoid this and to make the system to work effectively. If you’re required two add a scoop of dry sawdust after you’ve finished then it is important that you do this out of consideration to those who come along after you. This we can call community consideration. Where you can leave the material composting as a batch for a whole year it’s easy because time and nature will do everything for you. When it comes to the point of removing the compost it should be a rich dark material which any gardener will be pleased to see. So in this case the chore of removal will happen approximately once a year. 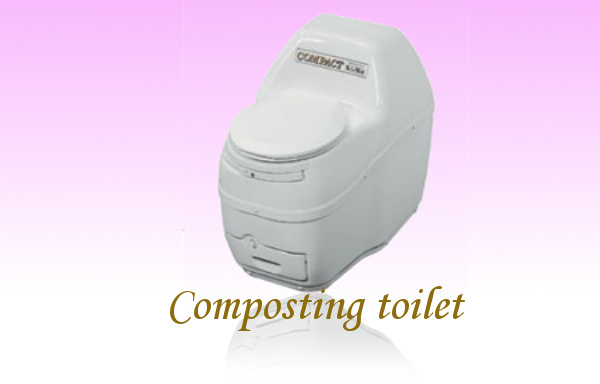 In the case of the modern composting toilet, because the space is more confined, the capacity is limited. 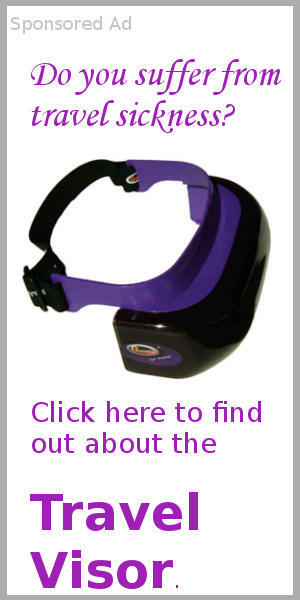 You can assume that it will be enough capacity for up to 70 visits before you will need to empty the solids chamber. It’s advisable that you wear rubber gloves when handling this sort of material. For the most basic of composting toilets where a compartment has been closed off for a year or more, this should be very simple. With nature having run its course there shouldn’t be any problems with handling the material that has to come out. The design of the compartment has to be easy to use for accessibility. 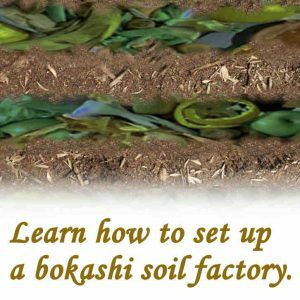 You should be able to just dig it out with a shovel and, If you’ve got everything right, this will be an extremely rich source of organic fertilizer. The modern more compact composting toilets are much more simple to use because a lot of thought has gone into the design that enables the operator to regularly extract small amounts of compost. The process with these is much faster because agitation has to happen for the unit to work efficiently. To empty a modern composting toilet the best way is to take off the lid assembly and place a big bag, preferably a compostable bag, over the container. You can then turn the whole unit upside down and shake all the contents into the bag. This can then be taken away to be disposed of. It will no doubt have further decomposition to perform but if you can place it somewhere where it could be left for a year or two it can always be guaranteed that it will turn into an extremely useful organic fertilizer. If you’re using the batch chamber system that involves leaving the waste to turn to compost over a very long time you may not need an accelerator. 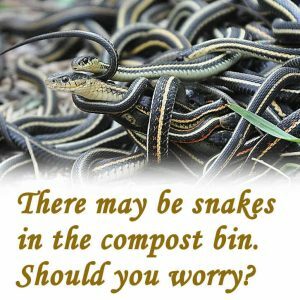 But it would certainly make a difference if you did because you would be sure of having a really mature compost by the time that you start to remove it. I would strongly advise the regular adding of white lime (hydrated lime) throughout the filling of the chamber as this will help with sanitizing as well as playing a part in accelerating decomposition. If you’re using one of the modern composting toilet units it’s strongly advise that you do use an accelerator because you really do need the process to happen as quickly as possible. If you find flies are a problem around your composting toilet don’t automatically assume that they have come from the toilet. There may be flies moving in from elsewhere. 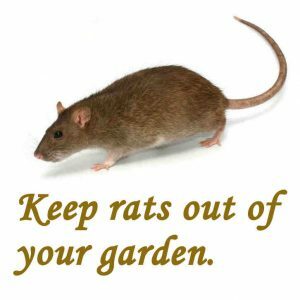 You need to look around and see if there is something that’s providing a source of flies for example fruit flies or house flies maybe moving in from a nearby compost heap. 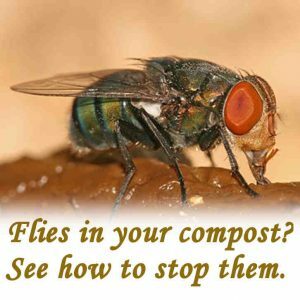 These flies may lay eggs in your compost toilet and become a problem. There are things you can do to make it uncomfortable for flies. Using the fly spray killer may be necessary in extreme cases but there is a much more natural method. Get yourself a bag of white lime (hydrated lime) and keep it somewhere dry because it has a tendency to go hard if it gets moist. Use the white lime powder, sprinkle a liberal helping over the surface of material in your compost solids chamber. This will have the effect of deterring the flies and it will probably kill any maggots that may have taken up residence. The white lime will not affect the composting of the solid material. It will possibly improve it and contribute to the process because it will help to neutralize any acidity in the mix. This will in turn help to accelerate the composting process. The compost from composting toilet is sometimes known as ‘humanure’. There are those who say that it’s a very risky thing to do to use human waste as part of a composting program and they are probably right. Because there are potentially harmful bacteria viruses and pathogens in human waste, It’s very important that we all recognize that there is a risk of soil contamination. It’s for this reason that the recommendation has to be to only use this material around plants which are non food producing. So you could use it to feed ornamental shrubs or grass lawn areas but don’t use it on the vegetable patch or around fruit bushes. The best way to deal with this problem is to add the compost that’s generated from a composting toilet to a much larger compost facility. This is where the compost from the composting toilet is likely to be exposed to the heat that is generated from a much bigger heap. the heat will sterilize much of the viral content and pathogens. Further to this we mustn’t ignore the part that worms can play. A strong population of worms will consume all of the material when it has decomposed to the point where they can live in it. When worms digest compost material they have the ability to destroy viruses and pathogens during the digestion process. The best worm for this would be the tiger worm because they’re the most efficient at digesting compost material and they do it very quickly. It is quite possible that red earthworms will move into the heap from the surrounding territory. These will do a lot to break down the material but it would still make sense to import and add a consignment of tiger worms because these will be much more effective. The tiger worms will live with the red earthworms. To be safe the best thing you can do with compost that’s been generated from a composting toilet you must leave nature to break down this material completely. Think of time as being the balancer and neutralizer. Viruses cannot live outside of a host forever. If the worms are left to digest all of this material completely, as they will, you should end up with a material that can be used without consequences. The main advantage of a composting toilet is that you can set it up anywhere. You don’t need a water supply to it or drainage from it. There are no worries if everything is frozen and there’s no water because you won’t need it for the toilet. If you manage the whole project diligently you will ultimately end up with a rich compost that you can actually use. The emphasis here has to be that you must conduct the composting process properly to make sure that the process reaches a safe and secure conclusion. It Is an option for secluded rural locations or for travelling, camping and boats. The main disadvantage of using a composting toilet is that there is considerable maintenance. You have to get into the routine of doing all the things that have to be done. 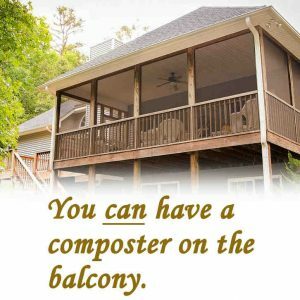 It may take a while to build up experience to be able to get the best out of your composting unit. 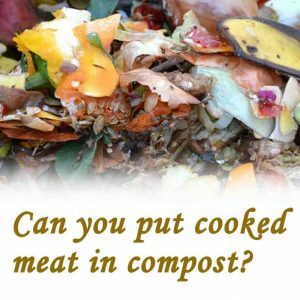 You have to make sure that the material in the compost isn’t too wet because if it is it will smell and it will take longer to break down into compost. You also need to make sure of that everyone who uses the composting toilet knows how to use it and that they do what needs to be done when they are using it. The modern composting toilets often need a power source and there has to be a discipline of making sure of that the relevant containers are emptied when they need to be. Having a composting toilet is a commitment it won’t manage itself when things need to be done they must be done. One of the advantages of having a composting toilet in your home is that you can place it wherever you want. If you have a confined space where you can’t do anything else it may be ideal for your composting toilet. You just need to be sure that you’ve got enough manoeuvring space to be able to carry out the emptying procedure. The only limitation is that you need to have access for a vent pipe that works like a chimney from a wood stove. This encourages plenty of air movement pulling away foul air. The vent pipe needs to protrude either through the wall or through the roof with the end of it being 3 feet higher than the top of the roof. This will ensure that there is enough positive air movement which will pull air up the pipe. Having a vent pipe will be necessary regardless of whether you have an electrically powered composting toilet with a fan or no power intervention at all. Imagine the convenience of this. You would need to have a small wooden hut or a small garden shed similar to this one. 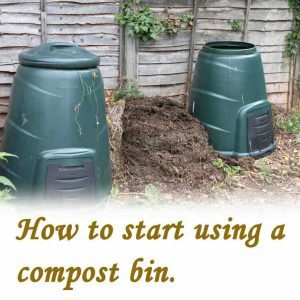 The ideal situation here would be to encourage all the allotment holders to share a composting toilet and where there is a large compost heap or a good composting system where the arisings from the composting toilet can be left for a decent length of time to rot down completely. Here again worms can play a big part and making sure that the compost is broken down completely to produce a commodity that everyone will want a piece of. It would, of course, depend on the views of those in the allotment group on whether the resulting material was used on vegetable patches. 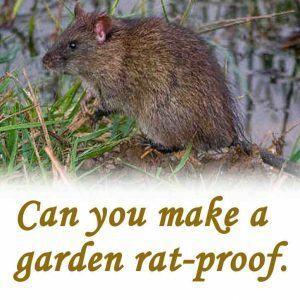 It might be safer to cure it in a separate compost heap that’s just for flowers that are grown on the allotments but I suspect with such a valuable commodity in the hands of experienced gardeners, there will be no shortage or suggestions as to what to use it for. 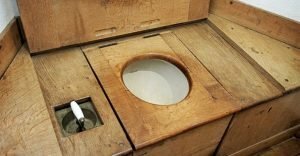 Having a compost toilet on a boat has a number of advantages mainly to do with space. If you acquire a boat that already has a water-based toilet you can take all that out and remove the capacious holding tank that’s needed to contain the output and you don’t need to concern yourself about overboard discharge. With an on-board composting toilet no pumping is necessary there are no valves to go wrong, nothing can get clogged up or start to leak. As with having a composting toilet in the home you just need to make sure that you’ve got ample ventilation with a vent pipe that protrudes away from the boat. If you’re going to be offshore for any length of time and the solid container is likely to fill up then the best thing to do is to have a spare container which can replace the full one. 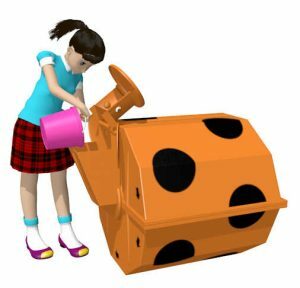 The full container can then be stored somewhere safe until you make landfall when you will find an opportunity to take it to be dumped in a sanitary fashion. The advantages of having a composting toilet in an RV or motor-home are much the same as for those for a boat. Space is always valuable and having a composting toilet means you can manage without a storage tank for taking the outfall from the conventional water type toilet. If you’re taking out an original toilet setup and replacing with a composting toilet you will need to be aware that you have to fit a ventilation pipe for which you will probably need a power assisted fan to extract fumes. You will also need to locate it where the original toilet was as this will be the designated area on the vehicle. The biggest difference will be that instead of having to dispose all liquid waste there will be a small amount of liquid and the rest of it will be solids. It’s probably not practical to be thinking about a composting toilet when you’re going camping. There’s enough else you’ve got to lug around and the whole point of camping is that you abbreviate your equipment to be as minimal as possible. It’s usually all about what you can get in your car and on the roof rack and no more. You may have a compartment within your tent or it maybe more convenient to have a completely separate stand-a-lone tent erected specifically for the purpose. A yurt could be described as a semi permanent tent. It makes ideal accommodation but can be easily dismantled, folded up and moved to another site. It’s an idea that was perfected by the Mongolians and has been used for centuries. The yurt is a relatively recent addition to the camping scene in the western world. A complete yurt will have basic facilities including a wood burning stove. This would be seen as standard operating equipment when you consider the windswept and cold Mongolian plains from which the yurt originated. It takes a little longer to set up a yurt but I have to say it is worth the effort for the comfort. This is just one example of the nouveau style camping that’s taking hold. People want the romance of camping under the stars but at the same time they want an element of luxury and comfort. This is fashionably referred to as ‘glamping’. The word ‘glamping’ being a combination of glamour and camping. For those who are attracted to this new trend a toilet facility is still needed to go with it. This is where similar facilities as for camping would work adding a level of comfort which would compare with the basic comforts of home.